The end of each year seems like a time for reflection. Thoughts about ourselves, our lives, our careers, our businesses and about photography in general. In the past couple of years, I have come across countless opinions and bad news that have been predicting the fall of photography as an honorable and profitable profession, or path in life if you will. Most of these fears are well motivated, and as with other things, seeing the good signs demands greater effort than seeing the bad signs. But even after taking all these things into account, there is the glass half full. Photography is not going away, it isn’t dying and there is still money to be made with it. I don’t know if comparing the life of present day photographer to that of a twentieth century one is really worth it. Each time in history is unique, and our time certainly has its treats. Photography has brought together people like never before. One of the most important social networks in the world is based on photography, whether we like it or not, and it’s only getting bigger. Speaking of Instagram, I remind myself of how mobile phones have changed photography and revived some of its genres that at some point seemed completely forgotten, like street photography. Probably very few people could have predicted ten years ago that pictures taken with mobile phones will be auctioned in art galleries, for impressive amounts of money. Also, not many would have thought that digital compact cameras will be on their way to a certain doom. Yes, it is a bit sad. Not for us photographers who rarely have anything to do with compacts anymore, but for the main camera manufacturers. A large part of the research and development that go into a new DSLR used to be funded with “compact money”. Now, in the best cases, that role has been taken by mirrorless cameras. Speaking of mirrorless cameras, they are responsible for lowering the consumer interest for the classic DSLR. Everyone wanted a DSLR until recently. As soon as they would buy it (a goal not too hard to achieve) the overnight “I am now a photographer” syndrome started to kick in. Besides it being incredibly annoying, the newborn photographers did cost a few professionals their jobs. Things are slowly changing. The interest for DSLRs won’t go down at the alarming rate it did for compacts, but sooner or later, big, heavy cameras will go “out of fashion”. There is also hope for the return of the professional’s status. Subtle signs, like the Chicago Sun Times hiring back their staff photographers are starting to come out. Things are looking good even for film lovers. Who would have thought we’d still be talking about film at the end of 2013? Well, Italian film company Ferrania got back in the business this year. Kodak Alaris, a UK division of the giant company that was once Kodak, joined forces with Lomography to keep film alive and well. So film photography seems to be polishing itself into a niche free of consumer marketing and mass appeal, and dare I say this makes it even more fascinating for old school enthusiasts. We have a lot to look for in the next few years. Some of photography’s branches have never been better. Yes, I’m talking about the wedding business. Others are almost dying, but for the pros of these dying branches it means personal transitions into something entirely different. Some of my photojournalist acquaintances have found new meanings for their lives in completely different fields of work. I guess that’s just how things go, you win some and you lose some. 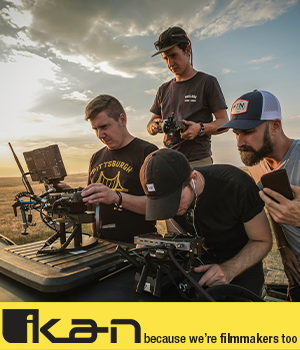 For others, the ongoing struggle they had to face in order to survive in harsh, competitive markets, has led them to evolve into brilliant cinematographers. These are just a few examples that I believe can be found in any community. Last but not least, brilliant images are being made each year. The kind of photographs that get imprinted in the back of your head and often change the way you see something. Not all has been done and with each passing year, something happens to remind us of that. 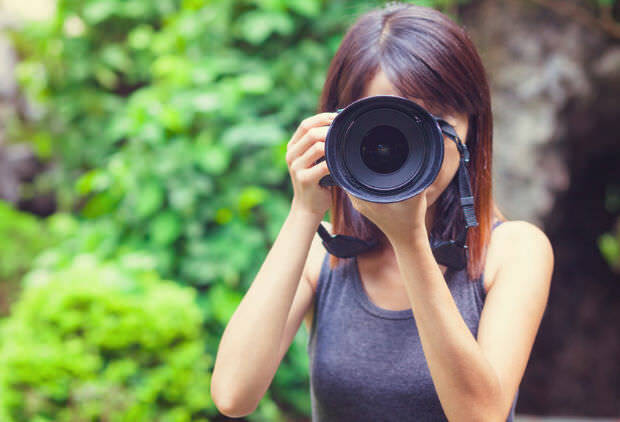 Young photographers with incredible talent pick up a camera for the first time and show the world what they’re made of, while others push their imagination to the limits and turn post processing into an art of its own. It’s a good time to be a photographer. We are spoiled with so many gifts, but even that can be a problem itself. Without knowing how to use them, we are condemned to feeling nostalgic about the times we never had them.